Mr. Bitcoin aka Alexander Vinnik is in hunger strike in Greece for his rights. Let me inform you about a legal case, which I have already post 2 articles in the past, here in Steemit! The case of Mr. Bitcoin aka Alexander Vinnik. Alexander Vinnik is now 39 years old. He was arrested by Greek police on 25.07.2017, while he was vacationing in Halkidiki Greece with his wife and his children. He stays in a greek jail for 20 months, in breach of the 18-month cap of the greek legal order. He is detained without being charged by the Greek authorities, without having been brought to trial and without being punished. Unique reason for his detention, the extradition requests submitted by the United States, Russia and France, for being a technician of the Bitcoin BTC-E online exchange platform. Alexander Vinnik consented from the very first moment to be extradited to his country, Russia, of which he is a citizen and where his cancerous wife and two of their underage children, 4 and 7, live as orphans with living parents. Relevant decisions on extradition to Russia have been made irrevocable for 16 months and 5 months respectively, but its adoption is not being implemented due to parallel requests to be issued in the US and France. 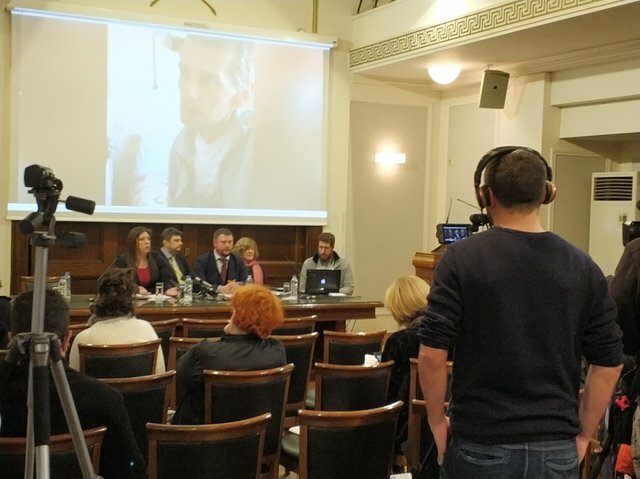 The decision to extradite him to the US was issued in December 2017 and the decision to hand over to France in December 2018, by the same court formation, which violated all his rights, according to his Lawyers Zoe Konstantopoulou and Timovey Mousatof, who gave an international press conference on 28. February 2019 at the Headquarters of Athens Bar Association. 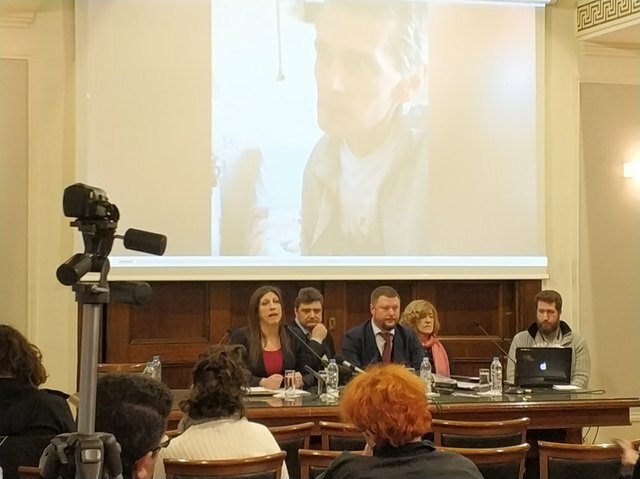 After a 88-day hunger strike in which he asks to be heard by the Greek Minister of Justice and his rights are respected, Alexander Vinnik has only 57 pounds left, losing 30% of his weight. His life hangs on a thread, as for 1.5 months, despite all the recommendations and actions of the doctors, he is prevented from submitting to the required examinations by competent doctors who are not in the hospital where he is being hospitalized. Thes Lawyers state that they want to bring to light all the circumstances and evidence in this case, which document systematic violations of the right to a fair trial, respect for human dignity and life itself, in order to attract attention the Greek Authorities and the Human Rights Defenders, to protect the rights and freedoms of citizens who are being persecuted illegally around the world! It seems that the "powers-that-be" have no scruples about doing away with due process of law when it comes to crypto. A case in point is Jared Rice who is being held in a Texas jail on, in my opinion, bogus federal charges over a crypto ico that threatened bank monopolies. THE WHOLE POINT MY FRIEND IS ENTIRELY ABOUT DUE PROCESS...not at this point about anything he may or may not have done... he is being prevented from being able to prepare a defense and is being pressures with solitary confinement and other abuse ENTIRELY because SEC/FBI want him to cop a plea so they can create another precedent to use against the next little bit bigger fish, and so on and so on...THEN BITSHARES, THEN BEOS, THEN EOS... and if you all can't see this comin then your just a blind deaf cow standing on the tracks oblivious to an on coming freight train. Put your grudges aside and look at the bigger picture... or not...just don`t be whining your geek sissies asses off when it happens, cuz soon it will be too late to stop....and you all did virtually nothing to stop it. you will get what you deserve. Crazy. Thank you for sharing. Very sad and tragic situation for the poor man and his family.